Scrap365: CSI is back! – Marsha. 12 November 2014 4 December 2014 | Marsha. Just in case you missed it: the Scrap365/CSI challenge is back on the Scrap365 blog! Check out the new Case file here! From the ‘Evidence’ part of the challenge, I chose: leaves, mist, watercolour, metal, scatter something and string. And from the ‘Testimony’ part, I took: Document a trip/adventure, Handwrite on your background and Thank you note. The series of photos were taken by Liesbeth during our trip to Berlin in 2012. 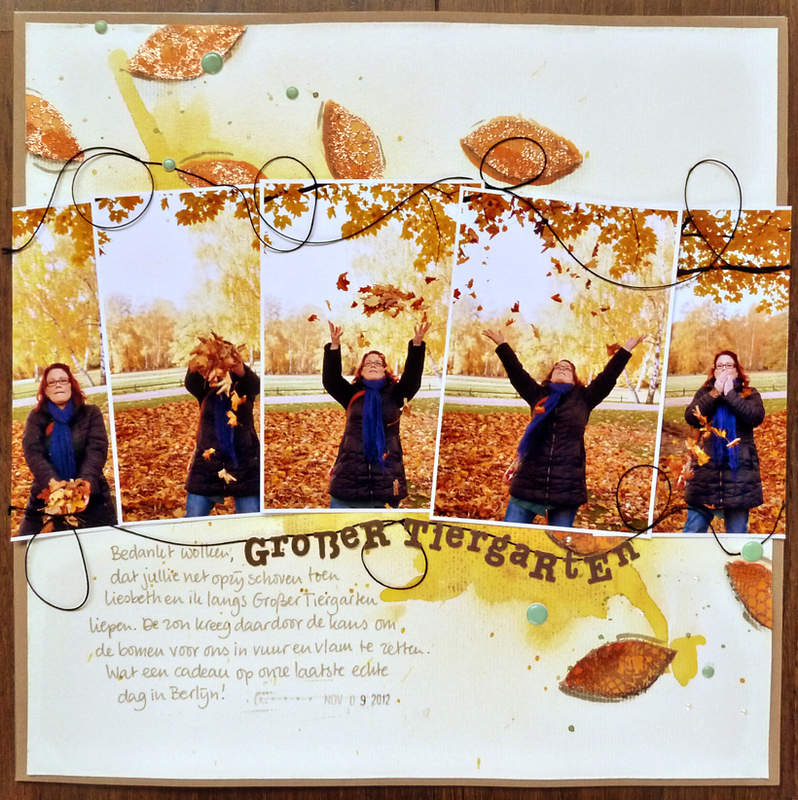 The journaling is a thank you note to the clouds, parting just at the right time so we could witness the beautiful fall colours of Groβer Tiergarten.